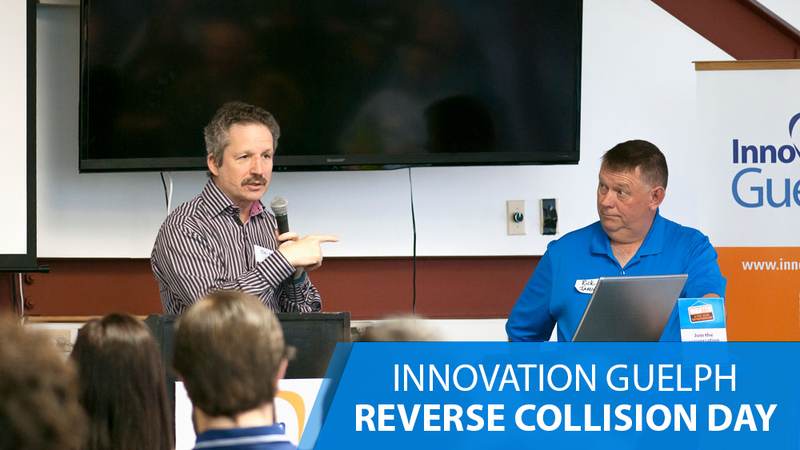 Innovation Guelph was extremely proud to host our very first reverse collison day on Thursday. At this first-of-its-kind Innovation Guelph event, we invited entrepreneurs to “look inside” larger companies for opportunities to create or grow businesses by addressing unmet needs; pursuing spin-off opportunities; and capitalizing on existing infrastructure, market knowledge and industry contacts. The event started off with a full house of entrepreneurs excited to meet with our partners Danby Electronics and ABS Friction. Jim Estill, CEO of Danby and Rick Jamieson, CEO and president of ABS Friction, spoke to attendees about their respective journeys as entrepreneurs and their excitement at finding new opportunities for partnership within the Guelph community. Presentations were followed by a packed schedule of one-on-one meetings between hopeful entrepreneurs and executives from Danby and ABS Friction. Many people left their meetings with smiling faces and plans for follow-up conversations. As we began packing up after a busy morning, Rick Jamieson headed out to meet with one of his morning appointments to continue the conversation. And the Danby executive team were pleased to have identified several opportunities they will be following up on. As for everyone here at Innovation Guelph, we were pumped to hear that some clients who attended the event were walking out the door with concrete prospects! All in all, we’d say our first reverse collision day was a resounding success. 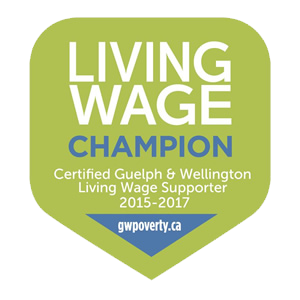 With the cooperation of the many large firms located in Guelph and Wellington County, we plan to make it the first of many. Together we’ll continue to grow the economy of one of the very best places to work, live and play in Ontario and Canada.